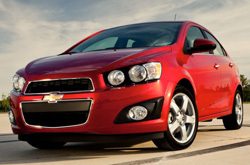 For the full 2013 Chevrolet Sonic review, please scroll past the video below. As the top-rated Chevrolet franchise in Springfield it is our obligation to equip our customers with Chevrolet reviews authored by the most outstanding Chevrolet writers in the world. As you read this article, you'll see that it is jammed with valuable facts on all of the things you'r looking for in the new Sonic. Good luck on your Sonic search! When considering the 2013 Chevrolet Sonic to the 2013 Honda Fit, Ford Fiesta, Mazda 2 and the Nissan Versa, and you can catch that the Sonic beats out those autos in many parts. Scan the hightlights below. Feel the [resassurance] that comes along with attaining tried-and-true repairs by Chevrolet trained technicians, a full year warranty on all services, and actual Chevrolet parts. At our Springfield area repair center, this and more is available for Chevrolet Sonic drivers. Your Chevrolet will stay in excellent physical shape with backing from the experienced auto repair authorities at Reliable Chevrolet's service facility. 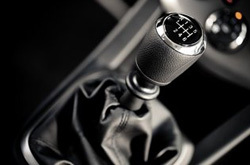 We will deal with a job as easy as an oil change, or complete challenging auto repairs and service like timing belt replacements, strut and shock repairs and Chevrolet transmission rebuilds. Reliable Chevrolet is your superior choice in Springfield for quick, professional Chevrolet service and regularly scheduled maintenance. The next time you make a trip to our service department, take a coupon! Just click the link below this text for specials.